helically arranged, interlocking proteinaceous strips (Walne and Kivic, 1989). The number of flagella is two, but in some species, several may be present. Within the group nutrition ranges from autotrophic to heterotrophic. The group is cosmopolitan and may be found in almost all habitats. Modern euglenoids include ~43 genera and 600-800 species. 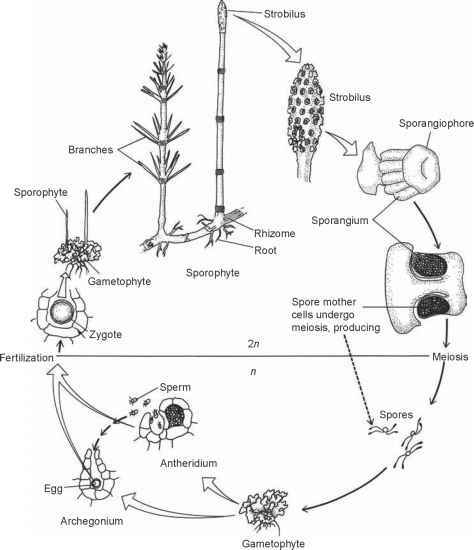 They have historically been classified either as plants (Bold and Wynne, 1985) or as protozoans (Leedale, 1985). Molecular data (small subunit rRNA gene sequences) suggest that the euglenoids diverged far earlier than the radiation responsible for green plants (Sogin et al., 1986). characterized by a series of longitudinal spiral strips that mirror the pellicle morphology of Euglena (Gray and Boucot, 1989). The fossils are abundant as early as the Middle Ordovician in non-marine, nearshore environments (Gray, 1988a). The most persuasive fossil euglenoids discovered to date are preserved in amber. Schonborn et al. 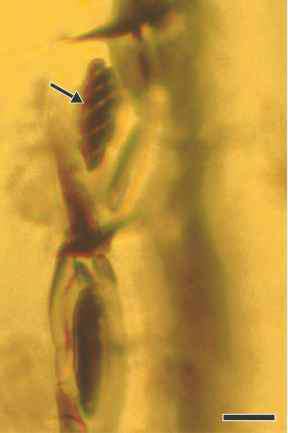 (1999) reported on a diverse microcoenosis in Mesozoic (Late Cretaceous; Schmidt et al., 2001) amber from southern Germany that contains several types of protozoans, including two euglenoids. 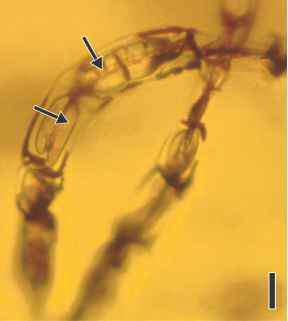 Recently, a similarly diverse but slightly older (Early Cretaceous) microcoenosis containing the colorless eugle-noid Astasia was discovered in amber from Álva in northern Spain (Ascaso et al., 2005).